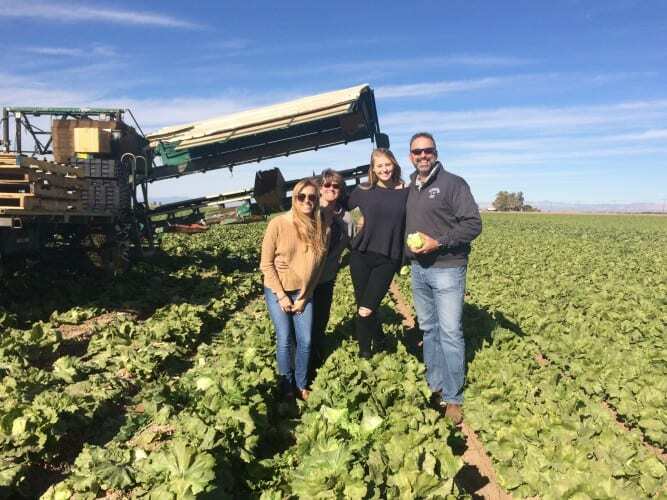 Farmer Rick Benson with his wife and two daughters. Meet Rick Benson, a fourth generation olive farmer who had his own cotton farm at the age of 18 while he was in college. See what Rick likes to do when he isn’t farming and what he’s been up to on the farm! CAGROWN: What are you doing today? Rick: Today I am walking my olive orchards and running a pruning crew. I am also setting irrigation pumps and finishing our irrigation system installation. Plus a little back hoe work. Rick: My favorite thing about farming is feeling like I’m producing something that everybody needs, food. Also spending time outside. I’m much more connected to nature. I grew up a boy scout; in fact I’m an eagle scout. I grew up camping and it’s hard to do camping in the city, so farming is kind of like daily camping for me. Rick: I’m president of a non-profit, Oakland Strokes rowing. They provide an athletic outlet and training for middle school and high school kids in Oakland. They draw their rowers from the East Bay area and have won ten National Championships. I’ve been president for the last year. I’ve served on my kids school board when they were younger and put in a lot of volunteer hours. Rick: I grew up in it. My father was a farmer. My great grandfather founded the farm. I’m a fourth generation farmer. I started working on the farm at the age of 8, I used to hoe cotton, drive a tractor, irrigate and spray weeds. Actually when I turned 18 I had my own cotton farm while I was in college, a couple hundred acres. I was a licensed pesticide applicator at 18. Now primarily I farm organically. Rick: Before I’m a farmer, I am a husband and father. So my focus is my wife and kids and then my farm but for recreation honestly I love to read. I probably read a book a week. I exercise a lot. And I try and always plan one scuba diving trip a year. Rick: Well first off you have to have a willingness to fail and learn from your mistakes. You have to have a desire to be a student of the soils and the plants and go through the process of incremental improvement. Now, the best way to be a farmer is to be born into a farm family and the second best way is to go to work for a farm family and take advantage of the accumulated wisdom of our elder farm workers because they really are an amazing resource for all of us.